A Country of Irish Family, Tribes and Kin. Do you come from an Irish family somewhere in your family tree? 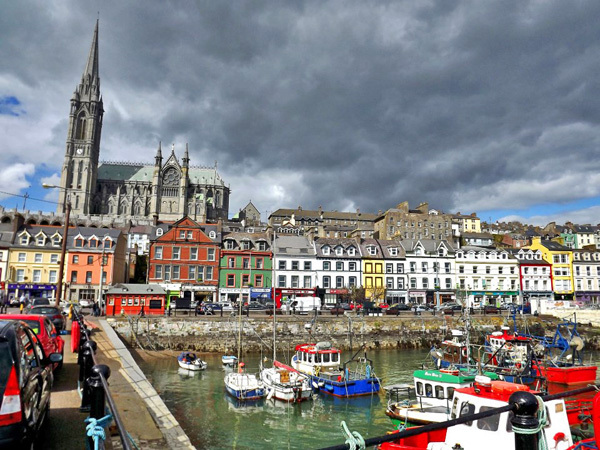 As I write these words, I’m sitting on the waterfront of the beautiful town of Cobh in County Cork. On one side are the waters of Cork harbour – on the other the colourful shop-fronts of the town. In the middle of the shop fronts sits a pub called “Kellys” – which has a large sign for “Murphy’s” Stout – a beer made locally – hanging over its door. Two of the most popular surnames in Ireland today. 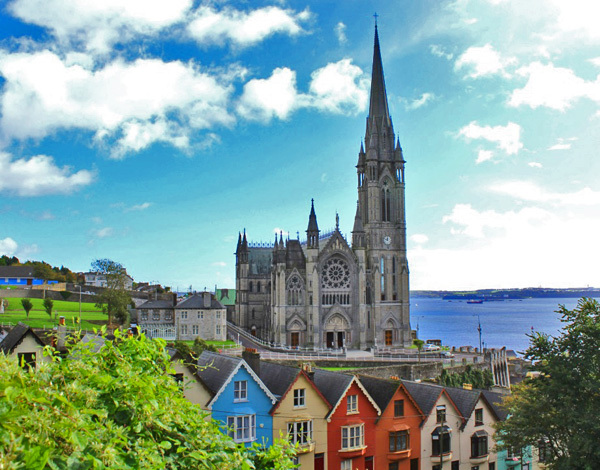 Cobh is a town that has seen well over a million Irish emigrants leave it’s port over hundreds of years. Through most of that time it was known as “Queenstown” – but then reverted to it’s older Irish name when Ireland regained Independence. A COUNTRY OF FAMILY AND KIN. Ireland is a country of family and kin – a country of tribes – and it has always been like that. If you travel around a country like England you will encounter many surnames which derive from a place, or an occupation – names like Wright, Churchill and Thatcher. In Ireland it is different. 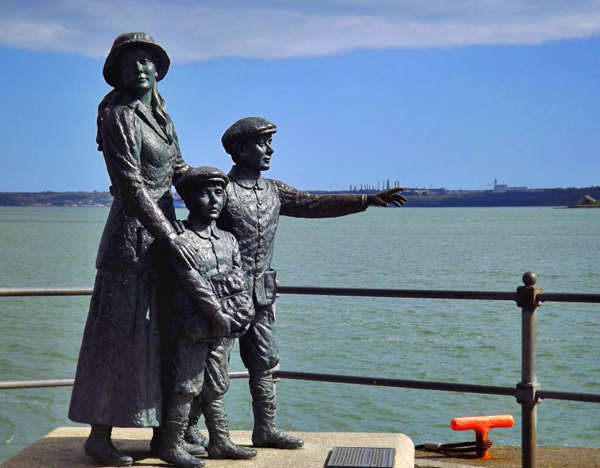 Statue of Annie Moore and her Brothers at Cobh. When you examine Gaelic surnames that came into being from about 900AD onwards, you see the vast majority of surnames are “son of” (Mac) and “Grandson of” (O). It was more important to tell the world which kin and family you belonged to than anything else. That is where the sense of honour, duty and trust came from. Even as you travel around Ireland today – you will mostly encounter people’s surnames above Pubs and shops – distinctive markers for a particular family. Names like Kelly and Murphy. You quickly know which territory you are travelling through. 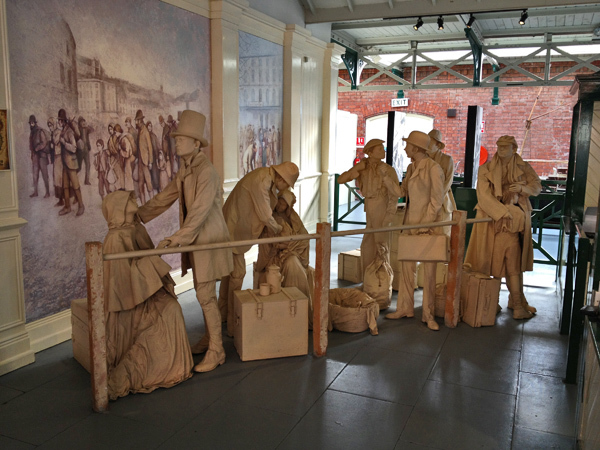 Sitting here in Cobh, it comes to mind that there was next to negligible emigration before the Great Famine of the mid-1800s by the native Gaelic population. Sure, many hundreds of thousands of Ulster Scots left for the colonies through the 1700s – sometimes bringing Gaelic indentured servants with them. But the Gaels had a huge attachment to land and kin – one that did not break no matter how bad things got. But they did get bad. 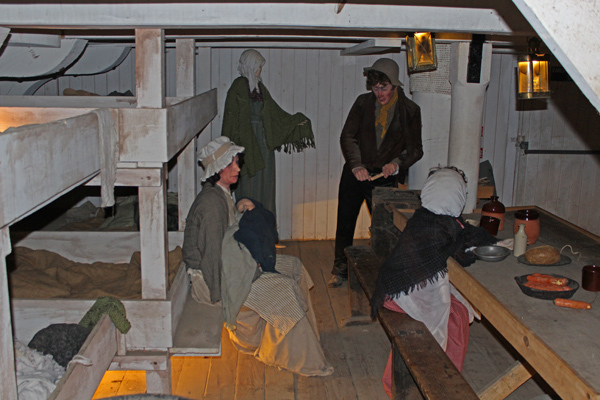 And once the floodgates opened in the mid 1800s – whole extended families of Irish catholics left Ireland for the shores of America, Canada and the UK. Over the decades many chose to go further afield of their own free will to Australia and New Zealand. I look at my own father who emigrated to England in the 1950s – and he found work for each of his siblings in turn – sending on for each. Over a short number of years there seemed to be more of his family in London than Cork. The reason I have written this book is to explore the tribes, families, territories, customs and culture of Ireland – a potent mix that seems to have worked its way into the DNA of all people of Irish descent. Including people with Gaelic, Anglo-Norman and English/Scottish planter surnames. This book is here to answer that question by taking a snapshot of Ireland at a time just before the invasion of Ireland by the English (or Anglo-Normans). A time when Ireland was a fragmented place – both politically and in terms of territory – but united in language, custom and culture. A time when your Irish family surname came into being for the first time. Question: How important is that feeling of connection to kin and tribe to you? Mike, My last name is Flynn/O’Flynn/OFloinn. I’m told it began as a descriptive name relating to ruddy complexion. I wonder if it started as healthy red complexion or, as ruddy as in blasted or bloody. I also know O’Hart thought of it as a for originating with the name Flann. Any thoughts?